This is turning out to be a season of focus on Handel. My previous post focused on the book. But last night, I was deeply moved by the brilliant performance of the Messiah by the Dallas Symphony Orchestra and Chorus. All four soloists were outstanding, but we particularly enjoyed tenor, Richard Croft. He sang with expression and passion that fit the music perfectly. The Stewards of the Charitable Musical Society requests the Favour of the Ladies not to come with hoops this day to the Musick-Hall in Fishable-Street . . . The Gentlemen are desired to come without their swords. We maintained our compliance with this request last night and it was, indeed, quite comfortable in a packed house. Although quintessentially this work of a theatre composer, Messiah contains no drama in the theatrical sense; there are no warring factions (no Israelites versus Philistines), no named protagonist; the text telescopes prophecy and fulfillment, and the drama is revealed obliquely, by inference and report, almost never by narrative. I had forgotten that the libretto contains the verse from 1 Corinthians 15:21-22 that nails the essence of our Easter celebration. We are all born into Adam and, as such, are sinners estranged from God. When we surrender our lives to Christ we are identified with him and are reconnected relationally to God through his death and resurrection. Only God could make this happen. Worthy is the Lamb that was slain and hath redeemed us to God by His blood, to receive power, and riches, and wisdom, and strength, and honour, and glory, and blessing. 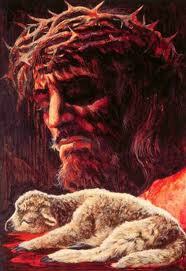 Blessing and honour, glory and pow’r unto Him that sitteth upon the throne, and unto the Lamb for ever and ever. You are currently browsing the J. Lee Jagers, PhD, ThM, LPC blog archives for April, 2011.